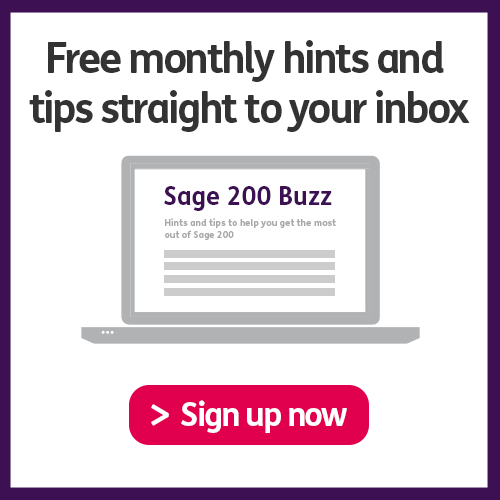 In this week’s edition of the Sage 200 Buzz the focus is on Credit Control. If you need some inspiration and ideas in order to streamline your Credit Control, then this is the place to be! Hannah is on hand to dish out her top five favourite pieces of advice to help utilise Credit Control more effectively. In keeping with the Credit Control theme, in the Add-on of the week section she is discussing the benefits of Draycir’s Credit Hound Add-on for Sage 200. And wrapping the show off, Hannah reveals what is possibly the biggest Sage news story of the year, so be sure to check that out. If you’d like a free Sage 200 Demo, or would like to attend a public webinar demo of Draycir’s addon, Credit Hound then click HERE and fill in the form.